So, the cat is out of the bag. Assisted Editing – Greg and I – have announced the immediate availability of our newest tool to translate Final Cut Pro 7 XML into Final Cut Pro X XML. Today, Apple announced the latest update to Final Cut Pro X. Following its announcement last September that the next major version of the software would include support for multicam editing and broadcast monitoring, this update delivers on that promise. James Cameron's viewpoint on good stereoscopic filmmaking! 3D CineCast listed James Cameron’s top ten rules for 3D filmmaking. Stereoscopic productions are getting popular and we can be pretty sure that 3D is the future. The list below is James Cameron's viewpoint on good 3D as notated by Jon Landau. היום אחי הקטן החליט להשתמש במצלמה של אבי כדי לצלם כמה תמונות, מכאן לשם נמחקו כל התמונות על כרטיס הזיכרון של המצלמה. אבי פנה אלי כדי לראות אם יש משהו שאני יכול לעשות בנידון. חיפוש קצרצר בגוגל הביא אותי לפיתרון הבא. Avid made the jump to 64-bit in November with its mainstreamMedia Composer 6, Symphony 6 and NewsCutter 10 software. This highly anticipated release includes 10 cornerstone features: 64-bit code, Open IO, ProRes integration (Mac only), Avid Marketplace, AMA support for AVCHD, a new DNxHD 444 codec, expanded stereo 3D tools, 5.1/7.1 surround mixing, Avid Artist Color control surface support and a modernized user interface. Avid has made significant architectural changes to the product without altering the behavior and interaction that veteran users rely on. A few hoped-for features, like resolution independence and background rendering, had to be left on the back burner, but they're still slated for a future release. The filmmakers at our favorite underwater film production, The Underwater Realm, talk about what it takes to put together a 16 terabyte media server running on Infiniband to safely store and stream Red Epic Raw files for a fraction of the cost of an enterprise grade server. Digital Film Tools Brings the Magic of Film to New Film Stocks Plug-in | Digital Production Buzz - All the news now and in your digital future! The Digital Production Partnership unveils new UK and International Technical & Metadata Standards for File-based Programme Delivery. Through the DPP, seven major broadcasters (BBC, ITV, C4, Sky, Channel Five, S4C and UKTV), have all agreed the UK’s first common file format, structure and wrapper to enable TV programme delivery by digital file. These new guidelines will complement the common standards already published by the DPP for tape delivery of HD and SD TV programmes. Whether you love it or hate it, 3D Stereography is here for awhile. And if you’re totally into it like I am, you quickly realize that there are few turnkey workflows out there to capture and process 3D Stereo video that’s easy to setup, shoot and edit Stereo pairs. Sure, there are a lot of high-end (expensive to rent) systems for two cameras to shoot, software to sync/mux the footage and rigs you can build to edit it, but GoPro has brought it together with a fun and easy-to-use system that anyone can use. It's the NLE Ninja here and I'm back to show you 8 tips that can help you work faster in Premiere Pro CS5.5. Also, at the end of this tutorial is a preview for Music Video Effects Volume 4 which will all be done in Premiere Pro. Watch, learn, subscribe, favorite and enjoy! AS-11 is a vendor-neutral subset of the MXF file format to use for delivery of finished programming from program producers and distributors to broadcast stations. AS-11 Files are intended to be complete and ready for playout. AS-11 support playout while the file transfer is in progress, a workflow is referred to as “late delivery”. It is preferable for AS-11 files to be used by playout servers directly without rewrapping of the MXF data structures. The content may be delivered at the ultimate bit-rate, picture format and aspect ratio, or it may be transcoded at the broadcast station to the required bit-rates and formats. Continuing to introduce products that leverage its more than 10 years of experience supporting Avid media workflows, Archion Technologies® is now offering Avid project sharing on its EditStor ES Shared Storage System. EditStor ES provides real Avid project sharing that enables complete collaboration between multiple Avid editors simultaneously working on the same open project. What film job do you qualify for? Need to decide what film job best suits you? Here’s a wry career guide to deciphering your true calling. Tired of explaining what a best boy does and other film jobs to friends, family, and strangers? This chart also deciphers the myriad of job titles that show up in the credits. Except best boy. Now you can send ‘em to Google. 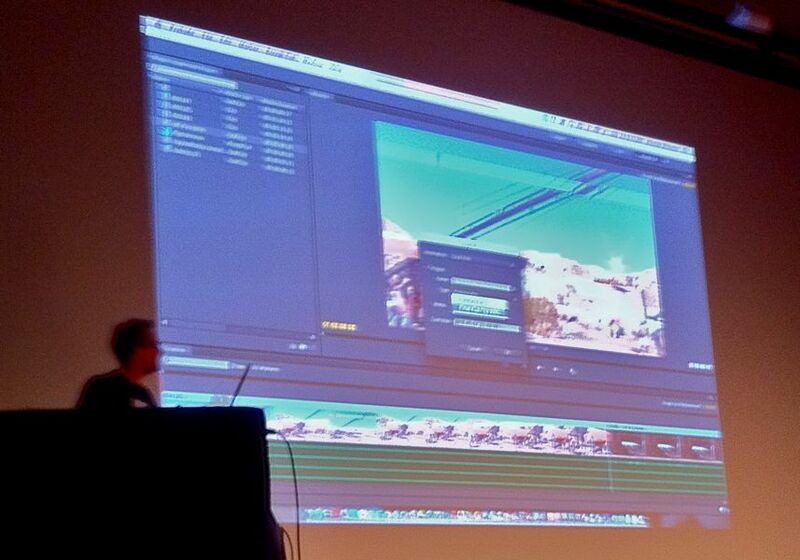 At the San Francisco Supermeet Friday 27th January, Adobe’s Al Mooney revealed a sneak peek at a new application for the Creative Suite called Prelude. Essentially Prelude is an ingest, logging and rough cut tool. It’s designed to make it easy to add log notes (a.k.a. metadata) quickly and easily, then perform a rough first string out to send to a craft (skilled) editor for the real work. Now obviously, any tool that encourages the entry of metadata is good by me! What was once considered a cheap and disposable medium, television special effects were historically relegated to whatever was left over in the movie studio’s prop department. The Image Systems Precision panel is a great panel, but nothing is better then a panel that you can improve yourself and this is easily done. In this tutorial I will go through two steps to improve the usability. The first step is simpler and uses the Preferences Assistant and the second step is by changing in the config files. I will also have a look at how to "improve" the look of the Touch screens. MentalCore - a solution for optimizing the Maya and mental ray workflow is out! CoreCG is a New Zealand-based research and development that specializes in creative solutions for CG animation and visual effects. The company announced the release of MentalCore - a cross-platform, standalone plugin designed to help artists achieve maximum creativity and efficiency while using NVIDIA mental ray with Autodesk Maya. According to the company, the release follows two years of extensive use at Oktobor Animation, a year of beta testing by high profile film, television, and game companies, and a soft launch in December 2011. I had blogged awhile back detailing the challenges of creating a production's deliverables (editorial media, iPad dallies, etc) on the set. One of the most potentially time and labor intensive aspects of this process is syncing sound to the video files to create independent clips with embedded audio. There are a lot of ways to do this, the most streamlined and expedient usually involving very expensive software such as Scratch, On-Set Dailies, and YoYo or the cheaper alternative being rolling up your sleeves and doing it manually clip by clip in an NLE such as FCP or Avid. Wouldn't it be nice if there was an inexpensive software that could take separate sound and video files with synchronous timecode and batch generate new files with embedded audio? You're in luck, now there is. Red Giant Adds Avid Support to Magic Bullet Looks 2: Looks 2 colour treatment tools inside the new Magic Bullet Suite version 11.2 from Red Giant now support Avid Media Composer 5.5 and 6, and all users can now choose individual products from the suite to install. Archion Further Enhances Avid Workflows with Introduction of Project Sharing on EditStor ES: Leveraging 10 Years of Supporting and Improving Avid Workflows, Archion Provides More Functionality at Nearly Half the Price (Burbank, California--January 18, 2012) Continuing to introduce products that leverage its more than 10 years of experience supporting Avid media workflows, Archion Technologies is now offering Avid project sharing on its EditStor ES Shared Storage System. EditStor ES provides real Avid project sharing that enables complete collaboration between multiple Avid editors simultaneously working on the same open project. Are you thinking at changing your workflow? Are you looking at another NLE? And if so, why chose just one new application? Why not take this opportunity to think beyond your editing pipeline? Black Magic Design releases a new beta version of their DaVinci Resolve 8.2 for public download as well as a DaVinci Resolve for Windows configuration guide. Do you want to download the trial of Smoke for Mac, or get the 36 month free educational version? You don’t have to have a full blown MacPro, with a Kona Card, and Nvidia Quadro or a Thunderbolt Storage device to learn Smoke. In fact, I am running Smoke for Mac on this low end MacbookPro. The EBU has published a new Subtitling Format specification (EBU Tech 3350). The new format is called EBU Timed Text (EBU-TT) and provides an easy-to-use method to interchange and archive subtitles in XML. Video takes up a lot of hard drive space. HD video more so than SD, 4K more than HD… and since the flooding in Thailand, hard drive prices have spiked precipitously. Over the next few weeks you’ll see a few posts on the gear we used on Mobius, as well as the pre-production we did on it as well as the post workflow. First – here is a video on rotoscoping that you might find of interest. REDCINE-X and Premiere Pro in perfect harmony - RED workflow video tutorial! REDCINE-X and Premiere Pro in perfect harmony - RED workflow video tutorial! : Chris Marino, a cinematographer based out of San Francisco, posted recently a nice video tutorial on the RED workflow: "RED. Love them or despise them. That seems to be the polar climate for this camera company and its fan(boys) and dissenters. The camera is always in Beta. Be it a Red One MX, an EPIC, or the forthcoming Scarlet (whenever those actually start hitting the wild). It freezes, stalls, crashes, or quits on you in the most unwanted situations. But, when Venus is rising and you have a mild barometric pressure that day, the camera miraculously works like a charm. I had the opportunity to DIT and edit/color a spot this past weekend and would like to share my experience with the workflow I used. Check out the video above for the scoop." Color correction is just one step of the entire filmmaking process…but oh, what a difference it can make. You can take average footage and really make it pop, sing and enhance the viewing experience of your project. If you have excellent footage, then the sky is the limit. You can also make images look garish, ugly and destroy all the hard work the crew did to capture those images on the day of the shoot. The challenges and choices are many and it comes with great responsibility if you are the one applying the Color Correction and Color Grade. In the indie film world, jobs are more often merged and unified and Color Correction is more and more falling into the hands of the Editor. The smaller the budget and tighter the deadline…the more often this becomes true. Shane asked me to take this opportunity and pass on some tips and tricks I have learned over the years of Coloring features, shorts, ads, music videos and documentaries. Apple has posted a knowledge base article warning that a specific combination of Xsan client and a StorNext controllers may lead to data loss. The entire article is below. Part 3 - The Ugly. Okay so there is one really negative point to these new OLED displays, and thats the poor, poor, poor viewing angle. Now not in the traditional way as OLED boasts great viewing angles. However you have about 40º each way off axis before the monitor’s start to band with a blue hue. Now if you are using these for client approval you have to set the PVM(s) up so precisely that both the operator and client can view without impedance. I noticed a thread on the Avid-L2 about file-based delivery, specifically in this case it was NBC wanting XDCAM file delivery (MXF 50Mb/s HD files) – Bourke from Videotoolshed offered some great information about using Avid’s Export to Device function to get an XDCAM-format MXF file suitable for delivery. Welcome to the first episode of at least five at the moment in the Expression Shorts series. With this series I have put together some short tutorials on various After Effects Expression code that can be very handy. Thanks to Apple’s super proprietary nature and the relative idiot proofing of any documentation, getting XSAN clients to connect to Stornext volumes requires some out of the box thinking. With the release of Adobe Premiere Pro 5.5.2, Premiere Pro now also support Maximus configuration on the machines. So what exactly is Maximus and what more does it offer when it comes to down to performance and other factors when compared to using nVidia Quadro and GeForce for GPU/Hardware acceleration. This article would cover some of the most common queries. Now, before I start let me be clear. I am NOT saying timecode is unimportant. I’m NOT saying that timecode is passé and suddenly irrelevant. Timecode remains incredibly important for any tape based access. One of the great perks of working with a new group of people is learning a new set of tricks. Many thanks to Jordan Kim who showed me this wonderful After Effects script called Popcorn Island that I can use as an alternative to Boris Transfer or Automatic Duck. Here is a video on how I have used Popcorn Island. It’s pretty simple. Popcorn Island (download and learn the rest here) will show you how to use their After Effects script (it’s a lengthy video, so I have provided my own if you can install the script file yourself). Why StorNext? A brief version of my investigations into heterogeneous file systems and SANs. 5) Sufficient bandwidth for multicam HD editing 6) Would work over and existing fibre-channel infrastructure. When I tell people that Smoke has 3D compositing capabilities, I sometimes get a skeptical reaction – asking if I *really* mean 2 ½ D compositing. So I end up explaining that in the case of Smoke, I really do mean TRUE 3D compositing. Answering this question numerous times led to the development of my recent series of tutorials on 3D compositing using Action in Smoke. I’ll admit it – I’m a Mac Guy. And for those that regularly read my blog posts, newsletter articles or have checked out some of my workflow hacks this is isn’t news. Lately though, I’ve become a lot more open minded. Dramatic RED performance gains, Expanded SDI output capabilities and support for the new Tangent Element control surface power latest release (Santa Clara, California--January 10, 2012) ASSIMILATE, the leading provider of powerful post-production tools for digital workflows, has shipped the 6.1 versions of its renowned SCRATCH® digital intermediate finishing tool. Capture and playback amazing quality HDMI and analog 10-bit video in SD and HD (CES 2012 - Las Vegas, Nevada--January 10, 2012) Blackmagic Design today announced Intensity Shuttle, a revolutionary new video capture and playback solution that uses Intel’s groundbreaking Thunderbolt™ technology. Intensity Shuttle makes the highest quality 10-bit SD and HD video affordable for everyone, in a truly portable solution that’s priced at only $239. ASSIMILATE has created a new Freeware and Shareware section on their ASSIMILATE Store. The first item in that section is SCRATCH2Nuke. SCRATCH2Nuke is a set of Python based scripts that exhibit the extensibility of SCRATCH through the use of XML. It allows you to create a bridge to pass both MetaData and images originating in SCRATCH to Nuke (By The Foundry) and back to Scratch via XML and the Global Watch Folder. We've just released Post Haste 2.0.5, a minor update to our tool for organizing your creative projects. There's a new List parameter type that allows you to specify a fixed list of values for the user to choose from. You can specify these in the Default Value field in preferences, with each individual value separated by commas (e.g. Alpha,Beta,Gamma). The user will be forced to choose one of these values and cannot type their own. We've also added a new option allowing you to specify that a parameter is not allowed to be left blank. If selected, Post Haste will not let the user create a new project unless this parameter is filled in. For more details on the new options, please see the user manual. Post Haste is a free download available here. Last week we released Pro Maintenance Tools 2.0.5 and Pro Admin 1.5.3, which are minor updates to our troubleshooting tools for video professionals. These updates fix several issues with Plugin Manager, update Crash Analyzer definitions and improve Pro Admin stability. You can read the full list of changes in the Pro Maintenance Tools changelog and Pro Admin changelog. The full list of error messages now supported by Crash Analyzer's lookup function is here. Pro Maintenance Tools is an essential toolkit for video editors that allows them to maintain, optimize and troubleshoot their editing systems. Pro Admin extends Pro Maintenance Tools to allow you to remotely manage and troubleshoot over a network. To find out more, see the Pro Maintenance Tools and Pro Admin pages, where you can view screenshots, user manuals, videos and much more. Last week we released Pro Media Tools 1.1.1, a minor update to our suite of tools for improving media management. The most significant changes in this version were made to Video Check, our tool for checking a video file is broadcast-safe. In response to user feedback, instead of just showing the maximum value that's out of range, the latest version now also shows the percentage of pixels within the entire image that are outside broadcast range. This allows you to see how large an error is. We've also added support for detecting long frames. These are frames that play for an extended amount of time, which is usually an indication that frames were dropped when capturing from tape. If your company has a policy that requires content to begin at a certain timecode, Video Check can now be used to flag up movies that don't match. We've greatly extended the Video Check section of the user manual so it's worth looking at if you need more details on how to interpret the results of a scan. In Pro Media Tools 1.1.1 we've also fixed a couple of issues with QT Edit and added the option to create timecode tracks from the date embedded in the metadata or the creation date of the file on disk. I've found that the two dates don't match on several of my test files, with some having the correct date in the metadata and some having the correct date in the Finder, so it seemed best to provide both options to choose from. The full list of changes in Pro Media Tools 1.1.1 is available here. Pro Media Tools is an essential toolset for video professionals that can save a significant amount of time in post production. To find out more, visit the Pro Media Tools site, browse the features list, watch the video overview or download the 15-day trial. JVC unveils world's first handheld 4K camcorder! Priced under $5k! JVC Professional announced today the GY-HMQ10 camcorder which - according to the company - is the world’s first handheld 4K camcorder. The camera is powered by JVC’s chip called Falconbrid large-scale integration (LSI) for high-speed signal processing and a 1/2-inch CMOS imager with 8.3 million active pixels, that delivers real-time 3840x2160 footage at 24p, 50p, or 60p. 4K recorded to four separate card slots. Datacolor השיקה את גרסה 4 של מערכת כיול מערכות תצוגה Spyder, שמכיילת מוניטורים, מסכים של מחשבים ניידים, מקרנים, טלוויזיות, אייפד ואפילו אייפון. I have a range of ‘portable’ applications on my USB stick which I use to solve little problems when the software installed in my edit suite doesn’t easily do the job. Here is a list of some of the more useful apps I have on my own USB stick – these are all for Windows, there might be similar options for use on a Mac, but it’s been such a long time since I regularly used one that I haven’t tried to build up tools for use there. Yesterday I posted a very brief summary of the workflow for Canon DSLR clips in Avid Media Composer 5.0, today I am following it up with the same demonstation for R3D media from the RED One camera. Mac-focused storage manufacturer Active Storage today announced mMedia -- a new "storage platform" -- complemented by two products: an 8Gbps 3U RAID array, and a high-density 4U JBOD. Active has published a brochure on the platform. Blackmagic Design has announced the availability of HyperDeck Software Update 2.0 Public Beta. The new software update for the HyperDeck Studio adds broadcast-quality compressed 10-bit recording and playback to the Avid DNxHD format. Speed up your Sony Vegas 11 rendering - watch this video with 10 useful tips! Nikon releases new DSLR camera, the Nikon D4: The next-generation flagship Nikon digital-SLR camera with the ultimate in versatility and functionality (TOKYO, JAPAN--January 7, 2012) Nikon Corporation is pleased to announce the release of the Nikon D4, a Nikon FX-format camera that serves as the new flagship model in Nikon's lineup of digital-SLR cameras. Nikon will be exhibiting the D4 at the 2012 International CES, to be held Tuesday, January 10 through Friday, January 13 in Las Vegas, Nevada. This electronics exhibition is open to the public. HD Video Pro» Blog Archive » Adobe’s Creative Suite 5.5 Takes The Top Product Of The Year! What Does Adobe Have In Store For 2012? 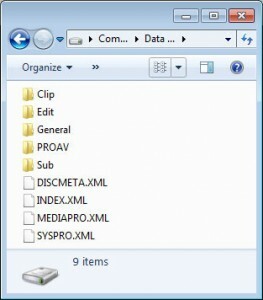 I recently named Adobe Creative Suite 5.5 Production Premium as my top product of 2011. With the release of their Mercury Playback Engine, as well as Apple’s release of Final Cut Pro X, Adobe has slowly but surely taken back some of the NLE marketshare that Apple has dominated over the years. With the ability to throw almost any codec at Premiere Pro and edit natively, Adobe has recently partnered with Automatic Duck to help improve the workflow integration into the system. Ever since the launch of RED Digital Cinema, 4K imagery has become an industry buzzword. The concept stems from 35mm film post, where the digital scan of a film frame at 4K is considered full resolution and a 2K scan to be half resolution. In the proper used of the term, 4K only refers to frame dimensions, although it is frequently and incorrectly used as an expression of visual resolution or perceived sharpness. Troubleshooting within Avid can be a frustrating venture at best and at its worst, you start looking for a new job in a different career field. Fortunately, it doesn’t have to be that way if you have the patience and time to do the right thing by Avid. Okay - smoking cigarettes is still bad for you, but did you know that students can get a fully-functioning 3-year license of Autodesk Smoke for free? Most people don’t believe it when we tell them, but it’s 100% true. All you need is your school email address to get your 3-year student license for Autodesk Smoke. Free RED R3D Files Adobe Premiere Pro & After Effects Tutorial:: Richard Harrington and Ian Robinson from rhedpixeltv and authors of Motion Graphics with Adobe Creative Suite 5 Studio Techniques have a nice free instructional video on working with RED R3D RAW files in Adobe Premiere Pro and After Effects. Please see other Motion Graphics with Adobe Creative Suite 5.5 tutorials from rhedpixeltv. Light Illusions has released new Windows and Mac based Scratch plug-ins for closed-loop calibration with LightSpace CMS. To import clips for use in Smoke you will do it via the Gateway. Now the Gateway is just a fancy term for the connection between the Smoke UI and the drives where your clips are. It’s very similar to AMA from Avid. You can choose to link to the clips directly from where they are, or you can “transcode” them in to DPX frames that live on your Smoke framestore. The following videos will help explain. Learn about how to use work with Red video natively (actual raw video) in this tutorial on Adobe Premiere Pro and After Effects. New grading panels are always fun to test and during the last week I have been learning the Precision panel from Image Systems together with the new Nucoda 2011.2 software. I have been working on several panels from the Wave panel in the cheap range to the Quantel Neo panel in the expensive range and I have to say that I am very pleased with the feel and functionality of the Precision panel. With the advent of the latest Promise Arrays, I’m starting to see more and more environments stacking a boat load of shelves of storage on top of one another (e.g. for CrashPlan). As such, it occurs to me that I haven’t really covered the initial configuration of a Promise here. The way I like to set them up is using configuration scripts. I’ve been using different iterations of the same scripts for a long time. This script is meant to automatically format 1 E and 7 Js of Promise storage and setup the LUNs named EData1, EData2, J1Data1 and J1Data2, J2Data1, J2Data2, etc. These LUNs and their controller configuration is meant to be used for Direct Attached Storage (although swap out readcache w/ readahead).